We have a one day course which will help you meet your Gender Equality Targets. The statistics are clear: women in senior posts alongside the men mean a thriving, more profitable organisation. Uniquely, RenewYou is suitable for any woman, at any level in your organisation and is designed to motivate women to give time and thought to progressing their career. It addresses very directly the issue of lack of confidence, encourages self belief and motivates women to aim high. Evidence from managers who have sent staff, is that the women return more motivated and more inclined to address issues from a ‘can do’ perspective, rather than grumbling, and many have actively pursued promotion and further qualifications. Reach your gender equality targets. Companies with a higher proportion of women in executive roles report stronger financial results. Opening up opportunities for women also creates a compound cultural benefit that is highly conducive to positive performance. Whatever you are currently doing to address gender equality and the gender pay gap, delivering RenewYou in house will give you a good return on your investment. Survey after survey identifies a lack of confidence amongst women holding them back from top positions. The reasons are many and various and forward thinking organisations with a strong commitment to equality and diversity, have used Changing People to help address this problem and maximise the potential of all their workforce. Everyone wins when a company is flourishing by enabling the talents of all its workforce to shine. Forward thinking organisations have a CEO led gender balance strategy permeating all strata of business (see this from Sky). RenewYou does not replace your existing initiatives, it enhances them. It gives participants a boost of energy and enthusiasm encouraging more women to seek positions in management. Equally, if you’ve yet to have specific gender equality initiatives in line with Government recommendations, RenewYou is a good place to start. Kathryn Nawrockyi, Director of Opportunity Now at Business in the Community. Sometimes it’s difficult to justify women only courses in an organisation, however, the statistics are clear. For every 20 executives in the UK only one will be female. The topic of lack of women on boards has been centre stage of late, with the UK Government talking loudly about introducing mandatory quotas if the status quo remains. Academic organisations are also being encouraged to extend their efforts with the Athena Swan charter mark. Gender equality is good for everyone. Yet companies can’t suddenly find women ready and willing to become board members, or apply for promotion; the process needs to begin early on in the organisation. Which is where RenewYou comes in. 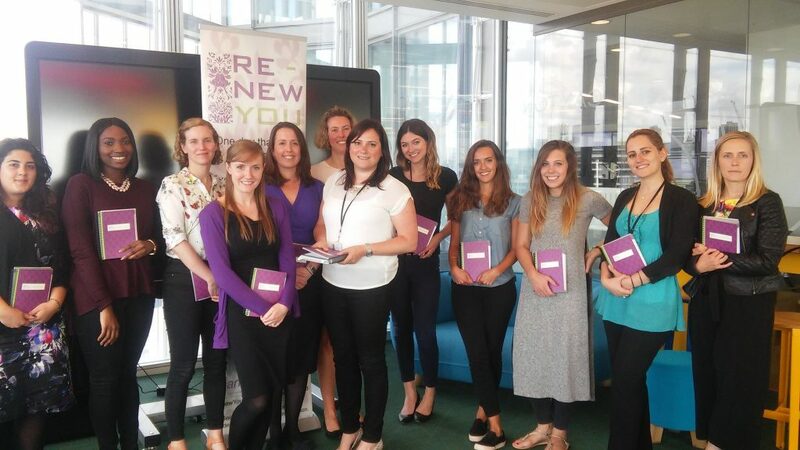 RenewYou is a tried and trusted one day (yes, staff only need to be away from their desks for one day) course which can be used within organisations working to increase participation of women at a senior level. The course is one single power packed day encouraging participants to think for themselves and to progress their careers. To keep the momentum flowing each participant also receives a 300 page journal, which is by their side encouraging and motivating them for a full year post course. 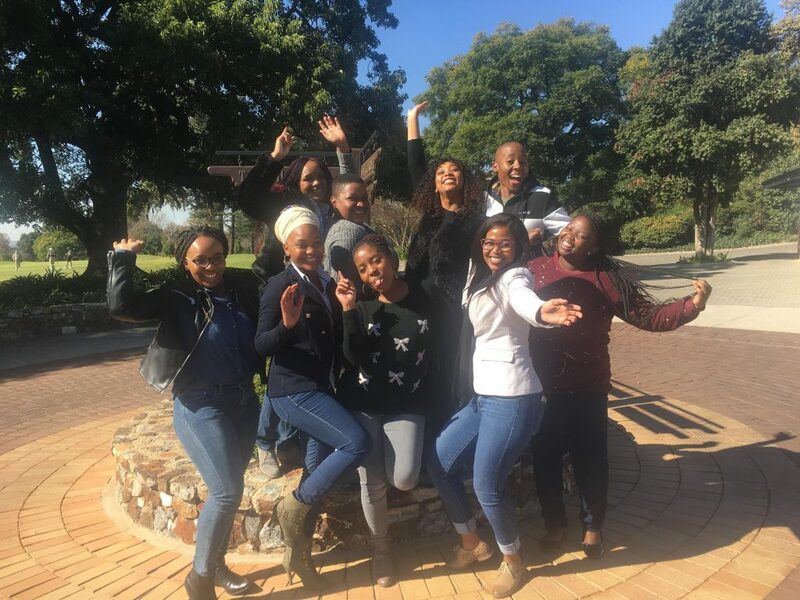 RenewYou was an important first step for our female junior management staff to develop a self-belief in their management potential and encourage this significant group of staff to aim higher. It allowed us to encourage specific team building strengths that women have a natural bias towards such as collaboration, empathy and flexibility. Divisional General Manager, Great Ormond Street Hospital for Children NHS Trust. Jane Woods of Changing People was invited to speak and support various events for the Bouygues businesses in the UK. I remember when she was a guest speaker at the first female only seminar organised by our business, she managed to engage with a crowd of over 85 women on the subject of self-confidence and behavioural differences. She not only made the audience laugh with her illustrative stories but also generated a bonding amongst attendees that none of us ever experienced before in our male dominated environment. She was able to adjust to a complex and diverse audience and answer their pointed questions. Chair of Welink UK, Female Employees Network of Bouygues Construction in the UK. Jane Woods of Changing People led a seminar in the summer of 2015 for Women in Journalism, the leading training, networking and campaigning organisation, chaired by Eleanor Mills, editorial director of the Sunday Times. It was a mixed group of 50 senior and more junior journalists from a variety of publications. Jane shared her considerable expertise on building confidence in the workplace in a friendly and professional manner, and was very well received. She has a love of her subject, which shone through, and her extensive experience makes her very well informed. She also took ad hoc questions from the floor and was able to ‘coach’ women on the spot. The feedback has been very positive with at least two of the ‘coached’ women reporting that following Jane’s advice had given them a real advantage at work in dealing with pitching to their editors, and being heard. As a result WIJ has approached Jane about holding an all-day workshop for a smaller group of members. I personally was so impressed with her grasp of her subject that we are in the early stages of discussions about co authoring a book on the topic. In a local authority it can be difficult for women to evaluate their positions and careers because the assumption is we’re all equal here. 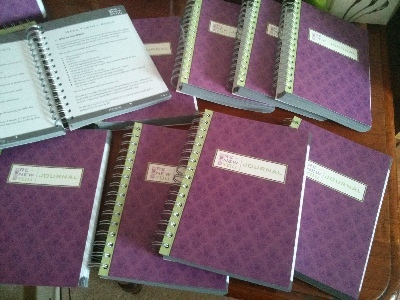 RenewYou has been really helpful in encouraging women to progress in the organisation. It gives them the opportunity to consider why they are where they are, to look at the opportunities available to them (inside and outside the council) and make positive plans and choices about the future. RenewYou participants have changed jobs, applied for promotion, undertaken further training, achieved qualifications. The council has got a good return on its investment in RenewYou which is seen as part of a programme which supports transformation of the organisation – including improved participation and people who contribute positively to the success of the council. You can arrange to have a course delivered in house. You can have a member of your training department licensed individually. You can have the gold standard package which includes the above, plus training delivered by Jane, along with regular updates, supervision and development of in house trainers, and coaching of RenewYou participants post course. This is especially useful within organisations looking to make a significant difference within a relatively short space of time. If you need evidence that gender balance is good for business, (and not just for winning awards) this extract from the IBM report should be useful. While the overall number of women on the boards of the UK’s most successful companies is rising, the number of women being promoted into executive roles has hardly changed. Today, just one in 20 executives in the FTSE 100 is female. • Organizational Performance: Companies that have a higher proportion of women in executive roles tend to report stronger financial results. Opening up opportunities for women also creates a compound cultural benefit that is highly conducive to positive performance. • Growth and Innovation: Today’s more open and collaborative organizations require a different style of management. Women are more likely to adopt the specific behaviors that are needed to foster a collaborative climate. Furthermore, complementary perspectives of a diverse workforce help to foster new ideas. • Customer Orientation: The worldwide growth of the “female economy” is a significant opportunity for every business. But to capitalize on its potential, companies need to be able to see the world through a woman’s eyes. Having senior women in positions of influence can help organizations better address the needs of female customers. • Internal Processes: Eleven factors will ultimately determine whether or not a woman will progress to a senior management position. The most important factors are critical job assignments, networking, and proactive personal action. Organizations should actively seek to support women in these key areas. Our analysis of these four quadrants shows that resolving gender imbalance is more than just a social issue. It should be a key strategic priority as it impacts not only the performance of the organization, but also its reputation as a world-class employer. This report concludes that every organization would benefit from having a better balance of men and women in senior management positions. Practical recommendations are provided to achieve this aim. One clear advantage is that this could create more potential candidates for those companies that want to elevate women into the boardroom. On top of that, having the complementary perspectives and leadership styles of men and women can open up an organization to new ideas and improve its ability to engage with customers. The simple truth is that better balance tends to make better business sense. Forward thinking companies know they need to tackle this issue from the grass roots up. RenewYou will help you do this. Another useful resource for organisations implementing gender equality is Avivah Wittenburg-Cox’s book, How Women Mean Business. Jane interviewed Avivah on her work which you can read here. Audit – looking at the actual statistics in an organisation, benchmarking, and talking to employees, women and men. Awareness ­– ensuring top managers truly understand the case for gender balance and the opportunities it presents them. Alignment – training requirements, the talent in the organisation. Sustain – how you maintain the change and measure progress. “Avoid invitations signed by HR, Diversity, or a women’s association. That would limit and label participant’s view of the session before they even enter the room. The invitation should introduce gender balance as a strategic lever for achieving other 21st century change initiatives. Catalyst is an American organisation dedicated to evidence based change in the workplace.This blog post from the CEO of Catalyst will give you a good idea of what they do. The website is a very useful resource if you’re thinking about implementing a strategy in your organisation. If you’d like to find out how RenewYou can help you create a workforce fit for the future, email me.